Give your space a luxurious look with this set of two blackout curtain panels in a warm light brown finish. Each 52"W x 84"H unlined curtain panel is embedded with solid blackout material blocks out the light when needed, and provides thermal insulation from the heat and cold. The sumptuous, wrinkle free soft polyester fabric give an air of elegance to a room, and the 8 silver metal grommets on each panel makes it a quick setup. 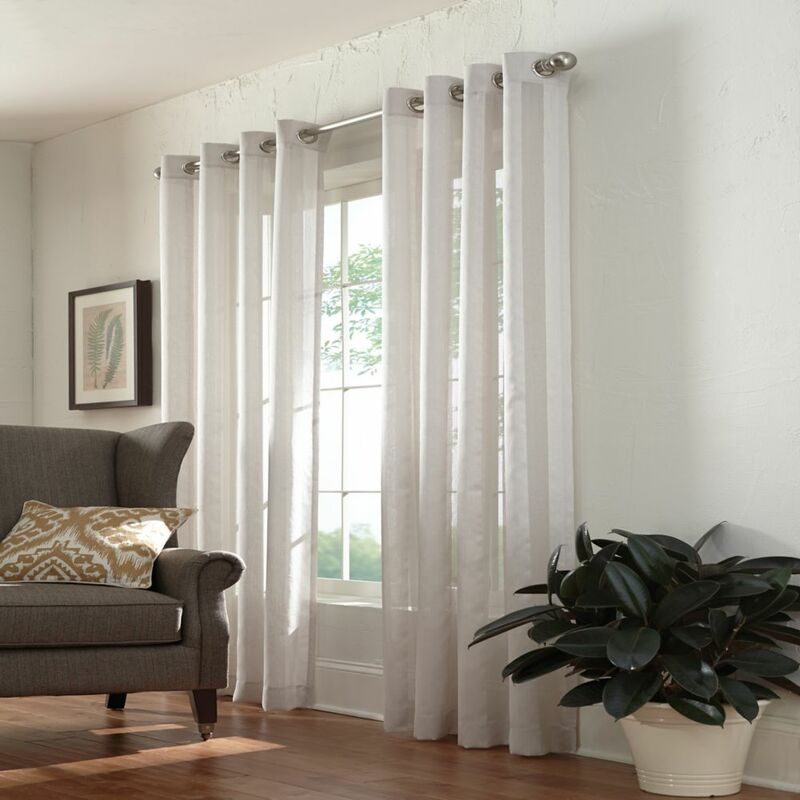 The simple classic design of these curtains are versatile enough to hang in a livingroom, bedroom, or dining room. Panels are dry clean only. Curtain rod not included and must be purchased separately.